... but Surfing Santa Delivers! Pennant Race and A.I. ETFs. May-2018 The Market Pennant Race? ... Our Own A.I. ETF? Plus 6 New Extended ETFs. Safety King Takes on Stocks. Be Thou not Afraid of Biotech. What Really is the Bear? ...and About That Flat Spot? Is This Really The Top? Mar-2017 Bulls & Bears Both Right? Dec-2016 Trump Surprise Special Situation. Sep-2015 Market Fear or Greed? 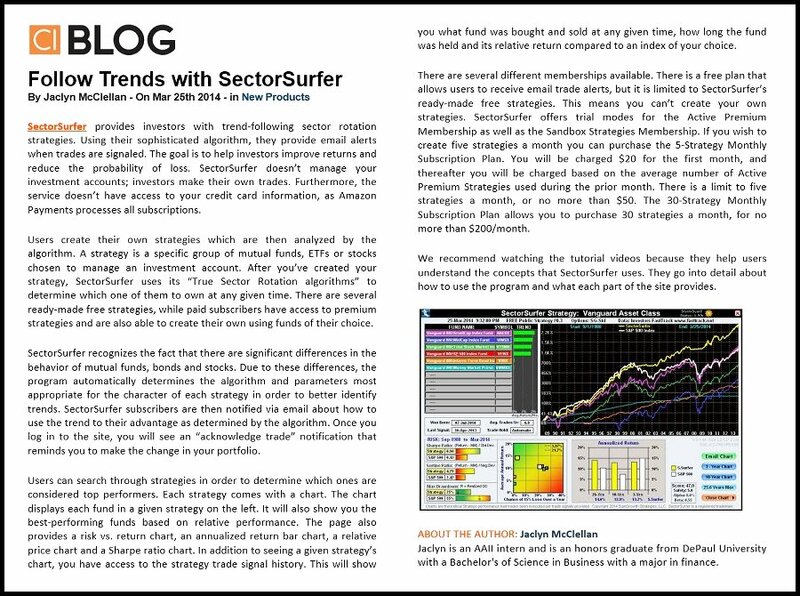 Sep-2014 Rebound, SectorSurfer University, Managed Volatility? Punch Bowl be Shaken, not Stirred?" the Seven Faces of Risk"
Let's Look Under the Hood"
May-2017 "401k Strategy Design Bootcamp"
Mar-2017 "Advanced Strategy Design Principles"
Nov-2016 "Satisfying the Prudent Man"
Apr-2016 "How StormGuard-Armor Stunningly Tames Bear Markets"
Sep-2015 "Basic SectorSurfer Review," and "The Strategy-of-Strategies"
Aug-2015 "Basic SectorSurfer Review," and "Next Market Crash? Three Ways to StormGuard Your Assets"
Signal Processing and Problem Segmentation." Reduce Risk and Increase Return"
New Tools Change Old Rules"
"Ride the Trends with SectorSurfer"
"SectorSurfer: Quick Scan Product Review"
Financial Goals with Less Volatility"
by Dale W. Van Metre, Ph.D.
make money in the stock market"